It is common to hear about wealthy individuals relocating to so-called ‘tax havens’ in an attempt to mitigate their tax liabilities. For most people, however, this is neither a practical nor a desirable option; in order to receive such tax treatment the individual in question must spend the majority of their year abroad. Offshore trusts, however, provide the potential to reduce an income and capital gains tax bill without the necessity for physical relocation. Off-shore trusts are subject to the same tax treatment as individuals living abroad, meaning that any capital gains that arise on assets placed in such a trust will generally fall outside the auspices of Capital Gains Tax (CGT). The settlor’s nominated trustees will manage the assets according to the instructions given in the trust instrument and the letter of wishes and, as the settlor has given up the legal title to those assets, that individual will not be liable for CGT. There are problems with this course of action, however; generally, the transfer of assets into trust is treated as a chargeable action in the UK for CGT purposes. As such, the individual may be liable for a charge at the point of transfer. 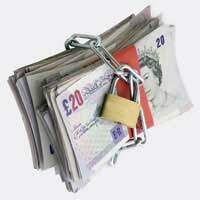 This can be avoided by transferring cash into trust as this is not normally subject to CGT. Alternatively, it may also be advisable to place assets with a currently low value into such a trust if it is expected that their value will subsequently rise. As this increase in value will not occur in the UK, the settlor will be exempt from any CGT charge. Protecting oneself from an income tax liability through the use of an off-shore trust is more difficult. If the income is being generated from the UK, the settlor is still likely to be subject to income tax at the regular rate. If, however, the settlor is not a UK resident, it may be sensible for employment income to be paid into such a trust. This will mitigate the income tax liability as the income is deemed not to be generated in the UK. If the assets placed in trust are of particularly high value, it is virtually impossible to avoid an inheritance tax (IHT) charge through the use of an off-shore trust. This is because the transfer of assets into such a trust is treated as a chargeable action – as is the case for any discretionary trusts, as is detailed in an article elsewhere on this site. The assets placed in trust will be subject to an IHT charge every ten years, the rate of which is determined by a number of factors including the value of the assets and the rate at which they have previously been subject to IHT. There are still benefits associated with trusts and inheritance planning, however; the transfer of assets into trust can help to ensure that the settlor’s beneficiaries receive a lower tax bill when they inherit after the settlor’s death. This does not, however, require the use of an off-shore trust; a UK-based discretionary trust can perform this function just as well. Legislation exists to ensure that it is as difficult as possible for individuals to avoid taxation. As such, professional advice is crucial if an off-shore trust is to be effective. Tax Avoidance Investigated by MPs? What Happens When the Settlor Benefits?